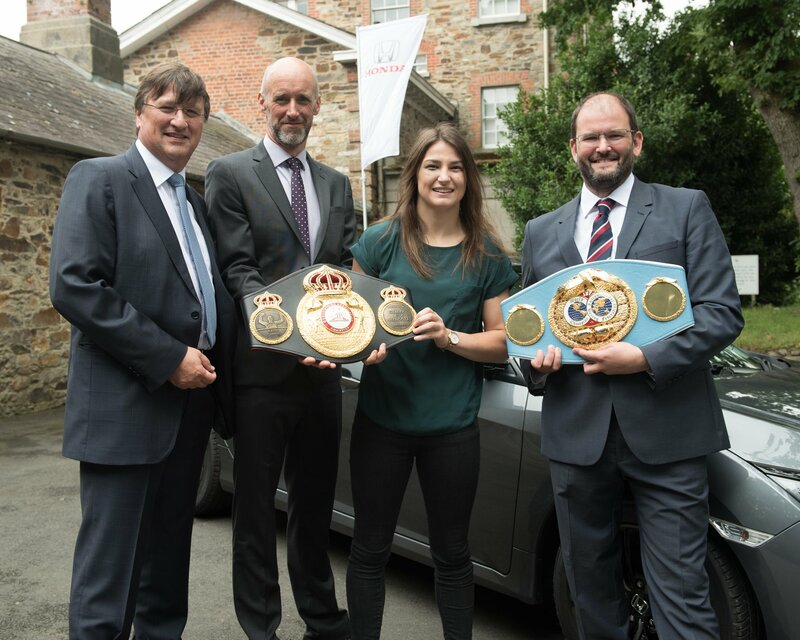 Universal Honda Ltd. are delighted to announce that Katie Taylor has joined the Honda brand as a brand ambassador for Universal Honda ltd. and Castle Garage Honda in Bray Co. Wicklow. 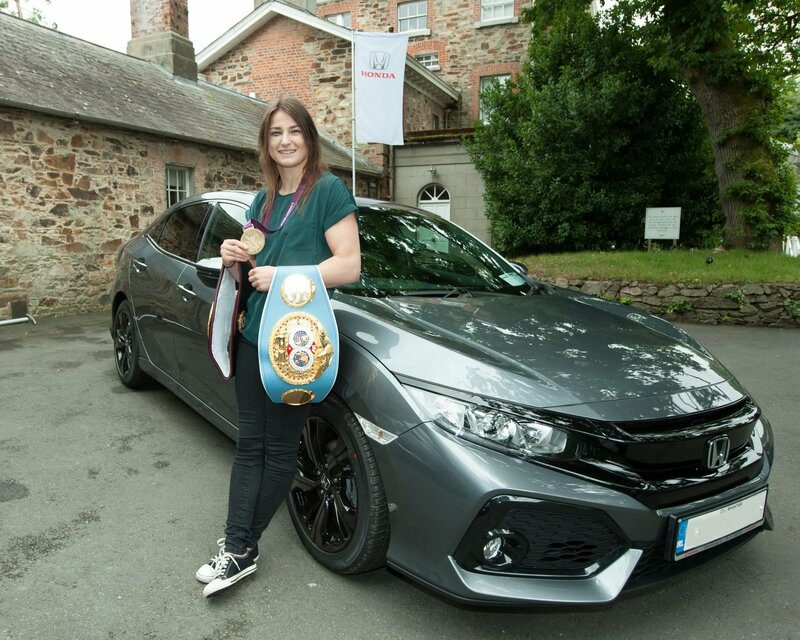 The Olympic Gold boxing medallist, who is currently the IBF & WBA World Boxing Champion yesterday collected her new Honda Civic hatchback at Marlfield House in Gorey Co. Wexford at the launch of the All-New Honda Civic Four Door Sedan. Director of Sales and Marketing for Universal Honda Ltd. John Saunders commented: “We are absolutely delighted to bring Katie on board as a Honda Ambassador. Katie is one of Irelands most successful athletes ever. With a record breaking amateur career behind her, including multiple world titles and of course Olympic GOLD, she continues her dominance in the professional world. We are really delighted and honoured to welcome Katie, and we wish her all the very best in her next title defence in October. Derek Bradshaw, Dealer Principle of Castle Garage Bray Co. Wicklow said: “We at Castle Garage are truly honoured to have this association with Katie, one of Ireland’s all-time great sporting heroes. Not only a phenomenal sportswoman but a fantastic role model too. The fact that she is also a local Bray girl makes this association very special for us. We really do hope she enjoys driving her new Honda Civic and wish her continued success in the future. Speaking of the new partnership, Katie said “I'm delighted to be partnering with Honda and really looking forward to getting out on the road in the new Civic!"